HomehistoryWhat did Louis XVI look like? What did Louis XVI look like? Five foot ten inches in height, heavily built but not yet too fat, with well-shaped legs, a pleasant ruddy countenance and pale blue eyes, of which the benevolent expression was veiled only by short-sightedness, Louis XVI at nineteen was not unpleasing. His voice, harmonious in its normal key, only rose discordantly under the stress of emotion. Unfortunately he walked badly, with the swaying motion peculiar to his family, trudging, instead of sliding smoothly after the fashion that was de rigueur, over the polished floors of Versailles. […] Simple, honest, kindly, plainly dressed in his unenbroidered coat of brown or grey, he looked in no way regal. […] Louis himself was delicate in childhood, and only by the age of sixteen had he begun to acquire the robustness and strength of muscle which drove him to find a vent for his energies in hunting, shooting and working at his anvil. 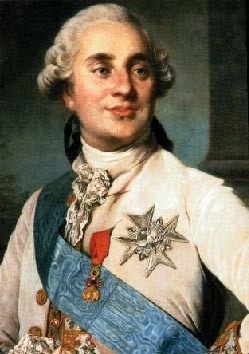 Louis XVI may have put on weight in his later years, but as a young price, he was nice-looking. I think the only thing he lacked to really look regal was a good dose of self-confidence. What do you think?